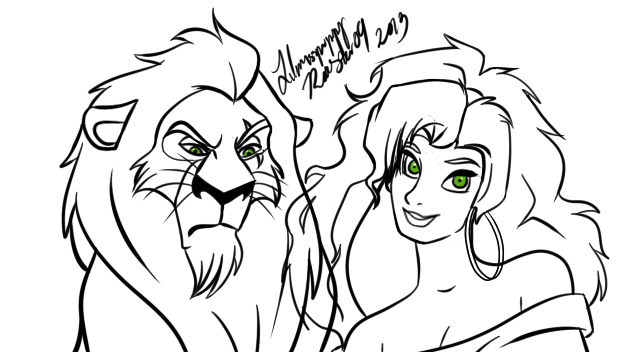 Scar and Esmeralda. Esmeralda introduces Clopin to Scar but Scar doesn't want to be a part of it. He's bad. Supposedly. XD ♥. 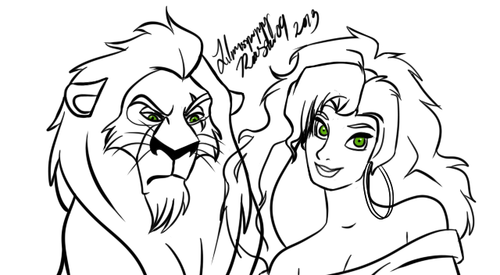 Wallpaper and background images in the disney crossover club tagged: disney crossover esmeralda scar the hunchback of notre dame the lion king. This disney crossover fan art contains anime, grappig boek, manga, cartoon, and stripboek. There might also be rode kool.